Do you have questions about home security systems? Need help with an alarm problem? I'll show you how to compare home security systems to find out what works best in your situation, whether you own or rent your home, or are planning for a new house. If you are looking for a new system, check out 5 Ways to get a Cheap Home Security System. Have you lost the code for your alarm system? Or, have you "inherited" a system along with your house, and don't know the code? Either way, you'll need a working code in order to use the system. Keep in mind that some brands of system have a way to recover the code, while others do not. If you want to try to recover the code yourself, you'll need to know the model name/number of your system. If you have an Ademco system, see this page on Ademco manuals. 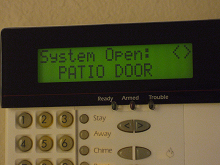 For any other brand of system, see this page on finding an alarm system manual. Once you have the make and model, type it into the "Search this site" box at the top of any page to find code-recovery info. If you think you might want a new system, you can get free, no obligation quotes through the BuyerZone links on many of my pages. If you'd like to have an alarm company come out and try to recover the code for you, you can use SecurityPricer to help you find an alarm company in your area. Do you need an alarm manual? Visit my Alarm System Manual Sources page. Are you having a problem with one of your alarm zones? Find step-by-step help with alarm system troubleshooting. Learn about medical alarm monitoring. Shopping for a New System? Learn exactly what goes into home security prices, and find an alarm company near you to install your system. Get valuable tips on how to choose, install, and maintain your DIY system. As a security professional for over 25 years, I've worked with all kinds of alarm equipment, some good, some not so good. I've helped people in many different situations install their own systems to meet their security needs. 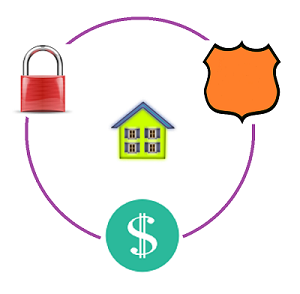 Learn more about DIY Security Systems. Have you been comparing home security systems from ADT, Monitronics, Frontpoint, or Simplisafe Security? Then you probably find yourself asking one or more of the following questions. 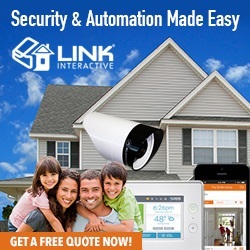 What about a cheap home security system? I see some advertised for $99, or even free? Besides the free or $99 installation, you typically also must sign a contract for monitoring the system. This will usually be a minimum of 3 to 5 years at $30 or more, and will end up costing hundreds of dollars. All alarm companies have to make money somewhere. A “free” or low-priced system just means the cost of the equipment is built into the monthly monitoring rate. Simplisafe Security is an exception to this rule, since they have no contract, and only charge $14.99 per month. They are able to do this by shipping you a pre-programmed system, which you then self-install. They save on labor and not having to send a service truck, and pass the savings on to the customer. Learn more about how to Compare Home Alarm Systems. More info on Home Alarm System Monitoring. Should I get a hardwired or wireless security system? Which one is better? A hardwired system is generally preferable to a wireless security system, for a few basic reasons. In some cases, installing a hardwired system just isn't possible. If you have a flat-roof or 2-story-type house, or are renting, running wires for a hardwired system may not be an option. In that case, a wireless system is the best choice. Some security companies choose to install only wireless systems, no matter the situation. This shortens installation time, and allows them to sell more systems. Even if you have the option of going with a hardwired system, you might still choose to go wireless. Maybe you've found a good local company you trust, or you’ve had a wireless system before that you liked. Modern wireless alarm systems are more reliable than ever, so don't be too concerned about the technology. Get estimates from several dealers, find one you can trust, and consider their recommendations. Find out more about Wireless Home Alarm Systems. Get more details on Hardwired Home Alarm Systems. What about home security camera systems? Video surveillance systems can be good additions to house alarm systems. They allow you to view and record activity in any areas of concern -- a baby's room, play areas, a front entryway, patio, or pool. Camera systems come in all sizes, from basic kits with a single camera and monitor, up to 8- and 16-camera systems for larger homes. Smaller wireless camera systems allow you to install your own equipment without running wires. Larger video systems can be installed professionally, and can cover all key areas of your home, inside and out. Many DVR surveillance systems can be connected to a home network, allowing you to view live or recorded images on any computer in your house. 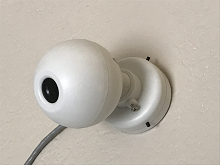 You can set up your system to watch and control cameras remotely, using any Internet connection. You can even use your cell phone to view your cameras! Can I install a do-it-yourself system to save money? 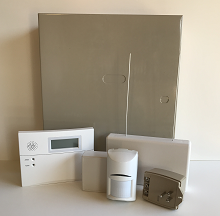 DIY alarm systems are more widely available now than ever before, and are a great option for a handy homeowner or renter. Much of the cost of any alarm system (especially a hardwired one) is in labor. DIY'ers save that cost right off the top, and equipment sold in kit-form tends to be reasonably priced. 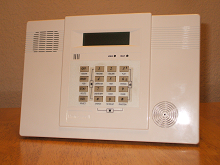 Find out more info on DIY Home Alarm Systems. Enter a few words in the "Search this site" box, found at the top of every page on this site. This will quickly pop up a list of all of my pages containing that topic. If you’re shopping and comparing home security systems, you may just want some idea of what’s available. Bookmark or save this site in your Favorites, at least until you’ve settled on a system that’s right for you. You can also find this site through the shortcut URL, AzAlarmGuy.com. Use the information here to find answers to all of your home security questions. Whether you decide to go with a national brand or a local alarm dealer, you’ll have a source of reliable information just a click away. To find out what a system might cost, get free home alarm systems quotes from companies in your area. Find the parts you need to maintain your alarm. Batteries, switches, magnets, and many other accessories are available here. For more information, see this section on finding Alarm System Parts. You’ll find professional advice to guide you through choosing, installing, and programming your own system. Why not replace your own alarm panel battery? I’ll show you how to get the right battery for your system, how to replace it, and save money doing it! Need to change an arm/disarm code, or find out what a trouble condition on your keypad means? I'll help you find manuals for using, re-programming, and troubleshooting your system. Do you need to make a zone list of your doors and windows? You can download and print out a FREE copy of my Basic Alarm Zone List to use as a fill-in form to make this easier. It has 28 lines for alarm zone information, including zone numbers, descriptions of protected areas, loop and serial numbers, and more. Are you an alarm installer, and need a sheet to record system info for your customers? Download a FREE copy of my Alarm Installation Record Sheet. 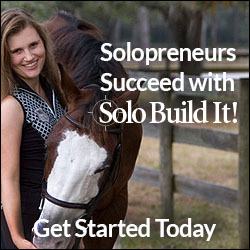 This has spaces to enter a homeowner or business name, address, phone numbers, and panel make and model details. The lower portion of the form is a shorter, 20-zone version of the Basic Alarm Zone List above. Each of these PDF documents will print out as a single 8-1/2 x 11 page, and I created them both to work with any type of alarm panel - wireless, hardwired, or hybrid. Modify them as you like to suit your needs. 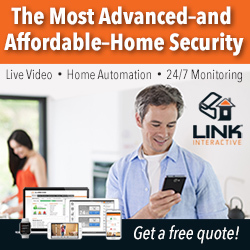 This site is dedicated to helping you find and maintain a home security system that gives you peace of mind, fits your lifestyle, and does it all at a price you can afford.